Here’s a revealing BBC Panorama backgrounder on the continuing international intelligence scramble to try and head off the current wave of IS attacks in Europe. Tuesday’s devastating attacks in Brussels, in which more than 30 people died and scores were injured, are the latest phase of the war on Europe declared by the so-called Islamic State. The attacks cast a dark shadow over last week’s triumph, the arrest of Salah Abdeslam. The hope will be that Abdeslam, one of the leading members of the cell behind the Paris attacks, will provide crucial intelligence on the current state of IS’s network and its future plans. The authorities will also hope that he can identify the people behind Tuesday’s attacks. 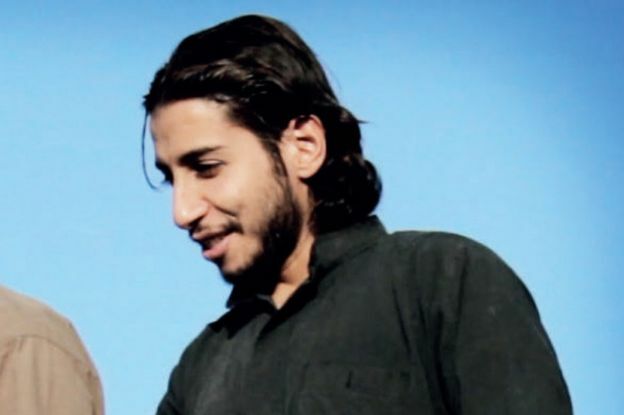 Getting captured IS fighters to talk is one of the crucial ways in which Western intelligence services have built up the picture of its European network and in particular the role of its former commander, Abdelhamid Abaaoud. The BBC’s Panorama programme has seen the transcripts of some important interrogations carried out by France’s equivalent of MI5, the DGSI. They reveal valuable details about the tactics used by Abaaoud to train and equip IS fighters in Europe. Suspects including Salah Abdeslam were arrested in the Brussels suburb of Molenbee. Image: ReutersNicolas Moreau was one them. He was arrested in 2015 having left Nantes to fight jihad in Syria in 2014. He, like many IS recruits, was a former petty criminal who had converted to Islam in prison and become disillusioned with life in France. He told his interrogators he couldn’t stand the “injustice” and “couldn’t see any future in this country”. He went on to provide valuable information about IS’s external operations department known as Amni, meaning “security”, that sends hand-picked trained fighters back to Europe to inflict death and destruction on their homelands. “Each gets 50,000 euros (£40,000) to mount an attack,” Moreau said. Captured fighter Nicolas Moreau gave details about IS’s external operations department. Amni, with 1,500 members, also had an internal security role “to detect spies in Iraq and Syria”, he said. Crucially he then revealed the kunya, the nom de guerre of the person in charge of Amni – Abu Omar from Brussels. In fact, Abu Omar’s real name was Abdelhamid Abaaoud, the commander of the network that was to plan and execute a number of attacks in Europe in 2015, culminating in the meticulously planned massacres in Paris. Another IS fighter, Reda Hame, captured in France in August 2015, gave more precise details about Abaaoud that helped intelligence agencies fill in the picture about how his network operated. Hame’s value to Abaaoud was that his French passport was due to expire and Abaaoud wanted to get him back to Europe to carry out an attack while his passport was still valid. He said Abaaoud was “a very tough person, very determined and very dangerous”. Time was of the essence to take advantage of the expiry date. Abaaoud personally gave Hame a crash course in weapons training and then issued instructions. Getting weapons in France, he said, was not a problem. “I just had to ask for what I needed, in France or in Europe.” Abaaoud also warned him to test the weapon thoroughly “as it wasn’t an option that the operation would be lost due to phoney stuff”. The interrogation of Reda Hame and his mention of a rock concert as a suggested target took place just three months before the Paris attacks and the assault on the Bataclan concert hall in which 89 fans of the heavy metal American band, Eagles of Death Metal, died. However dire his Cassandra-like prophecy, it would have been unrealistic to expect the authorities to spend the following months monitoring every concert and public gathering in Paris. But the clear warning was there. From intelligence we have seen, we now understand how 2015 became a desperate race between Abaaoud and Western intelligence agencies as they tried to find him and stop him. From the beginning of the year they had no doubt about his key role in planning attacks in Europe. Telephone intercepts indicated that he was behind an IS cell set up in the Belgian town of Verviers with the alleged aim of killing police officers. The cell was neutralised when Belgian police, aided by France’s SAS equivalent, the GIGN, stormed the building, killing two members of Abaaoud’s cell who had been with him in Syria. One of them, Khalid Ben Larbi, had flown from Syria and used the UK as a back door to Belgium via St Pancras. We’ve been told he was travelling on a passport belonging to a Dutch jihadi. The telephone intercepts made to the cell in Verviers, were traced to Athens and were identified as having come from Abaaoud. It was a golden opportunity to swoop and arrest him. Intelligence we’ve seen indicates that with the help of Israel’s Mossad, the CIA planned to intercept him but the plan failed. Abaaoud slipped the net, returned to Syria and boasted in IS’s glossy propaganda magazine, Dabiq, how he had escaped under the noses of Western intelligence. Through the summer, the warnings about the threat from Abaaoud and his network increased. One source reported that Abaaoud was now IS’s Minister for War. The CIA warned that Abaaoud’s network was trying to get hold of European ID cards and that he was in contact with Turkish smugglers about trying to get recruits back to Europe. Alarm bells were now ringing ever more loudly. There was concern, too, when it was discovered that Mohamed Abrini, a member of the Paris cell and one of Abaaoud’s closest lieutenants, spent time in the UK last summer. We understand he went to Birmingham and when he returned to Brussels, he was interviewed by the police. Mohammed Abrini, unlike his fellow jihadi, Salah Abdeslam, is still at large. We have learned that as summer 2015 turned to autumn, the race to find Abaaoud intensified. A series of meetings were held between Western intelligence agencies, now seriously concerned about their inability to locate Abaaoud and increasingly worried about his network’s intent. In October, MI6 and MI5 met with a European partner agency to discuss Abaaoud and their concern about a report that he was intending to send 60 trained fighters to attack Belgium, France, Germany and the UK. Other agencies, too, were trying to find a way of countering Abaaoud and discussed setting up a specialist team to target an individual who was now Europe’s most wanted man. The meeting to finalise the details was to be held in Paris. The original date in the calendar was ominous: 13 November, the very day of the Paris attacks. The meeting was postponed before that date but it would have been too late anyway. The race was over and Abaaoud had won. The grim statistics were the result: 130 people dead and almost 700 injured. Five days after the attacks he had commanded, Abaaoud was killed in a safe house in St Denis, a suburb of Paris – a suicide bomber hiding with him detonated a suicide vest. French security forces fired thousands of rounds at the flat in St Denis where Abaaoud took refug. Image: Alamy Tuesday’s attacks in Brussels clearly indicate that the IS network is still at large and no-one knows where and when it may strike next. That’s the nightmare that keeps the intelligence services awake at night. However intense their efforts to keep us all safe, they can never guarantee 100% security against such a ruthless and sophisticated enemy.